Most people believe, and rightly so, that a proper partnership can be the vehicle that one can use to travel from where you are to where you want to be. Anyone considering a partnership is openly admitting that they have needs that they believe will best be attained by the partnership. Without that belief, there is little incentive to expose oneself to the process or the risks. On the other side of the proposed partnership, there is likely (hopefully) a similar belief that you can and will assist the other person to reach their goals. In fact, the premise is usually that there will be a definite “win-win” in the partnership overall. And in an ideal world, that is exactly what happens – “Everybody Wins”. The only real problems come about when partners come to the realization that neither of them can find an entry point into this “ideal world”. So, the next best suggestion would be to think carefully about partnerships because the reality is that they can be extremely “good” or “extremely bad” or some place in between. What most people fail to fully understand BEFORE entering a relationship is that everything that happens outside of the partnership will have some impact on what happens within the partnership. In other words, partnerships are out of necessity “dynamic organisms” that grow and die. They change over time. Two very good and decent people can together make extremely “bad” business partners. Simple logic may not always suggest that to be true, but it can and does happen nonetheless. In short, I believe partnerships can be useful for all concerned, but a certain level of maturity of thought should be exercised beforehand. One of the major advantages of our strategies is that they strongly encourage you to identify your strengths and weaknesses such that you know, in advance, what a partnership has to provide to you so that you don’t have to guess or hope as to the value of a relationship. As far as we have learned, there is no “guarantee” that a partnership will absolutely succeed or that it will absolutely fail. Our advice is to really understand the value of all that you are to receive from it and what you have to give up to get it. The best partnerships are ones where truly both of you win. The strategies shared within our SDK Hunter Collaborator Group will help you to clearly learn what business tasks you can handle yourself and where you require leverage. Sometimes, you might think that you need a partner, when you actually need an “employee”. And other times, you might believe that an “employee” is required, when a very infrequent subcontractor would suffice. In business, It is much easier to convince yourself to create more overhead than it will be to realize you never really needed it. Previous PostSix Figure Outsourcing SecretsNext PostDefine Yourself – Are You A “Starter”, A “Finisher” Or Somewhere In Between? Partnerships require a certain mindset that is really amiss, but truly desired. With good reason! Productivity. Is. Everything. Definitely not anything to skimp out on. Certainly, the purpose or motivation for partnership is undeniable. The concern is not the merit of its purpose, but the likelihood of the results being productive. And, as you have noticed, more productivity is always welcome! I was partners with my best friend from high school, and it didn’t end well. Just because we liked hanging out together didn’t mean our skills complemented each other. At my current firm, I get along great with the partners. We don’t socialize, but that’s not what we’re there for. David, that is a very powerful testimony as to what one needs to think about before entering partnerships. Thank you. I have been thinking about this very issue as well, and I think you raise a lot of good points. Partnerships definitely have their positives and negatives, and it takes some careful consideration to decide whether they’re right for your particular situation. Thanks again for these very helpful blog posts. Thank you Mike. Your comments clearly indicate what we wanted to share with our readers. We have witnessed many situations where an individual had created a wonderful product for the marketplace, had overcome many different obstacles, had absolute evidence that there was huge widespread demand for their product, and had even positioned themselves for massive growth and success – only to have everything crumble before their eyes as soon as they were talked into accepting what was a bad partnership. Sonya, you have expressed a very concise view of the meaning of our post. You are absolutely correct to state that oftentimes a partnership is very much not re4ally needed. As much success and often more success can be achieved with a good employee than with a partner. This article is awesome! Some people won’t agree to be in a partnership. However, you explained beautifully how the benefits of a partnership within any business can help people who are currently struggling to maintain and grow their business. Yes, this is a nice one. Thank you for your kind comments. 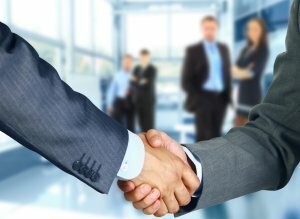 Partnerships can be a very effective tool for a business. But, as it is with any other type of tool, you must be sure that the tool you use clearly matches its purpose. In my opinion, you really have to have a certain mindset for partnerships. It really works the best if you’re doing something like a small business with someone you know. For some people partnerships are just no good, then with some it works out amazingly. Especially in the case of family businesses. Those often work out pretty well from my experience. That is all true. When it all comes down to positive interactions and support, seldom came a success happen merely because the partners truly like and admire each other. Certainly, it is important that there is mutual respect and admiration between partners. However, for the relationship to work, the communication and the efficiency of their interactions must produce positive and consistent results. I think the key is finding a good partner…which is easier said than done. It definitely makes things easier in the startup process, however I can see problems arising later in the business. Kat, that is a true statement for sure. It is much easier to begin a partnership than it is to end one. As someone who has had many business partnerships, I think it is about finding the right partner. Quite true. The wrong partner will not only hold you back from progress. A truly bad partnership can literally destroy your future. While partnerships can come with many benefits in terms of generating new ideas and getting things done quickly. It can sometimes be troublesome. Especially when you and your partner have different motives or temperament. Sometimes there can be conflicts of interest which can lead to further problems and even resentment. This is why I prefer working by myself, without any partnership, and taking the sole responsibility of my tasks. You are very wise to realize the pitfalls of partnerships. Of course, there are wonderful partnerships too. The real difficulty is not so much in the idea of partnerships as it is in how quickly most of them are created. The short solution to this problem can be described by a simple truth. The reality is, “People bring into a partnership, as they do in a marriage, all of the good and bad that is within each of them”. And, if there is deep commitment and enough compatibility between them such that they can weather the storms of life that they will ultimately face – then it will be a successful union. In the case of both partnerships and marriages, these unions are usually created before proper analysis has been completed.